Nursing moms who struggle with low milk production will do pretty much just about anything to help increase their milk supply. Fortunately, there are several things you can do, snacks and cookies you can eat, teas you can drink, and smoothies you can make to ramp things up. The ingredients inside these snacks, teas and smoothies are considered milk-boosters. Some of those ingredients are fenugreek, brewer’s yeast, oats, and nuts. Spinach and flax contain phytoestrogens which are thought to promote lactation, as well. What’s great about smoothies is that you can combine several of these milk-boosting foods quickly together. It’s also an easy and fast way to to get several of these ingredients in your system. 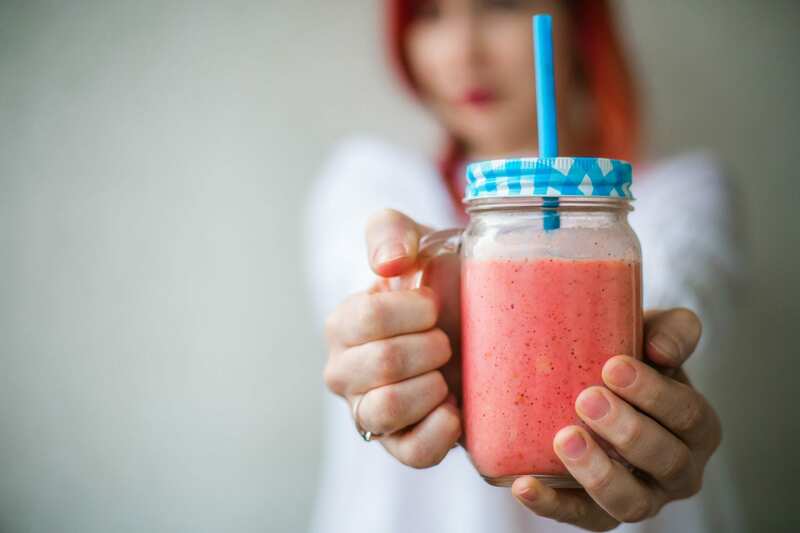 So what are some yummy lactation smoothie recipes? We’ve found 5 that we love that we had to share. While you might not expect it, cooked oatmeal lends a thick, creamy texture to this banana and maple-sweetened smoothie. Oats, nut butter, and brewer’s yeast are believed to boost milk supply, making this a perfect snack for nursing moms. Directions: Add all of the ingredients to the blender, starting with the milk. Cover and blend on high until smooth, stopping and scraping the sides as needed. (About 30 seconds.) Taste and add additional maple syrup if desired. For those of you with a sweet tooth, this lactation smoothie is for you! Directions: In a blender, add the chocolate chips, cocoa nibs, cocoa powder, peanut butter and 1 cup almond milk. Blend for about 30 seconds. Add other remaining ingredients and blend until smooth. Is It Seriously That Easy to Get a Breast Pump through Insurance?